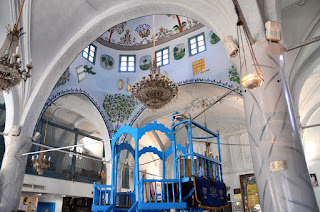 Marianna Hillmer-Wiechmann went on our Greater Jerusalem Tour and on our Hebron and Bethlehem Tour. In this article (for the German original see here) she puts her impressions into word and image. It does not take long to get from Jerusalem to the Wall. This huge wall, that Israel has built as a Separation Barrier to the West Bank. I still remember hearing the news in 2003, I remember myself thinking, "oh come on, they cannot do that". Yes, they can. 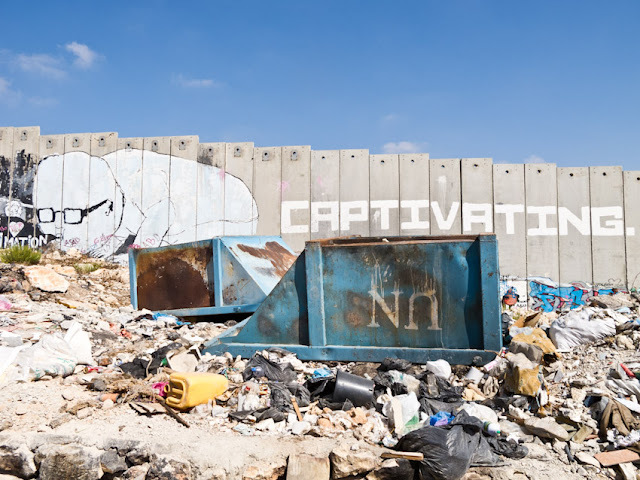 The Separation Barrier is still not completed, but unfortunately they keep on building it. 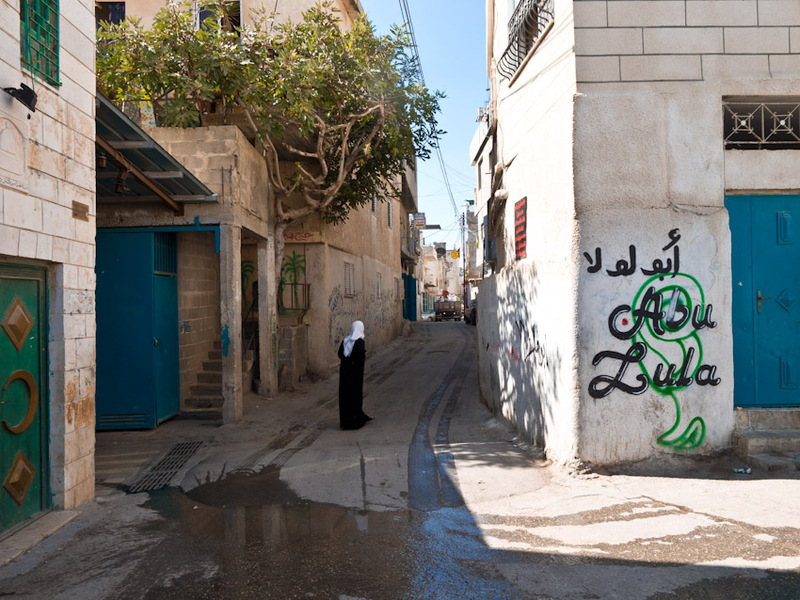 And in the area between Jerusalem, Bethlehem and Ramallah the big monster is already there. The Berlin Wall seems small compared to it. We drove along that Wall for a bit, together with Fred Schlomka from Green Olive Tours. The things that we saw and learned came pretty unexpected. This rampart made out of cement does not only separate a region, it separates streets, it arbitrarily separates Palestinian neighbourhoods right through the middle and creates ghettos. 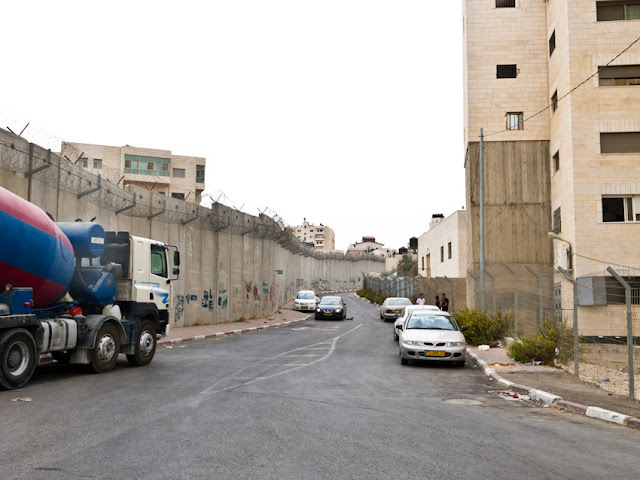 In Greater Jerusalem there are already three Palestinian neighbourhoods that are completely enclosed by the Wall. I, as a neutral person, am allowed to see both sides of the Wall, I pass through checkpoints and can go back and forth again. For Palestinians who were not lucky enough to live on the right side, who didn't even know which side could possibly be the right one, lost their freedom of movement. They can only leave their immured neighbourhood with a special permit that only the Israeli state can issue. You can get such a permit if you for example work for an Israeli company in the West Bank. Right, there are Israeli companies in the West Bank. 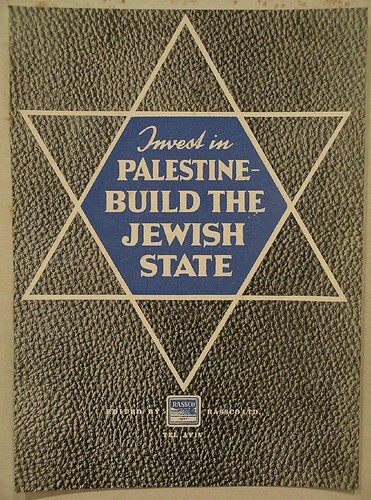 This has the advantage of getting the cheaper Palestinian labour. In Israel there is minimum wage. The West Bank does not "officially" belong to Israel and the Palestinians are also not Israeli citizens and are therefore not subject to Israeli civil law. The permit to leave the ghetto is being issued for the respective working days and the respective working hours. 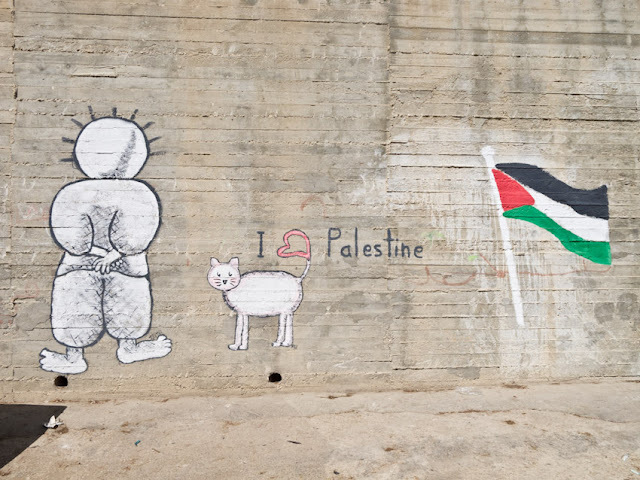 Not for more than that, after all the Palestinians have no place on Israeli territory. 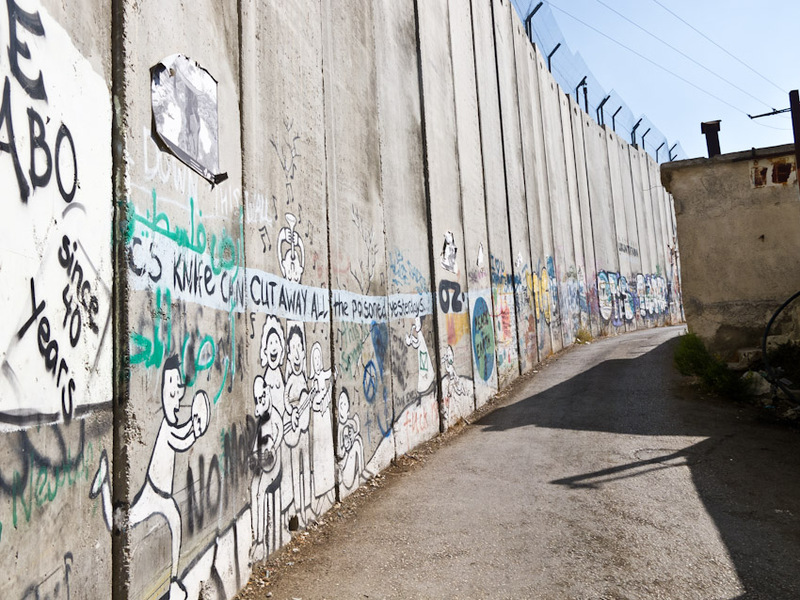 Of course we asked Israelis what they thought of the Wall. And not few of them told us they welcomed the construction of the Seaparation Barrier and that they felt saver since. 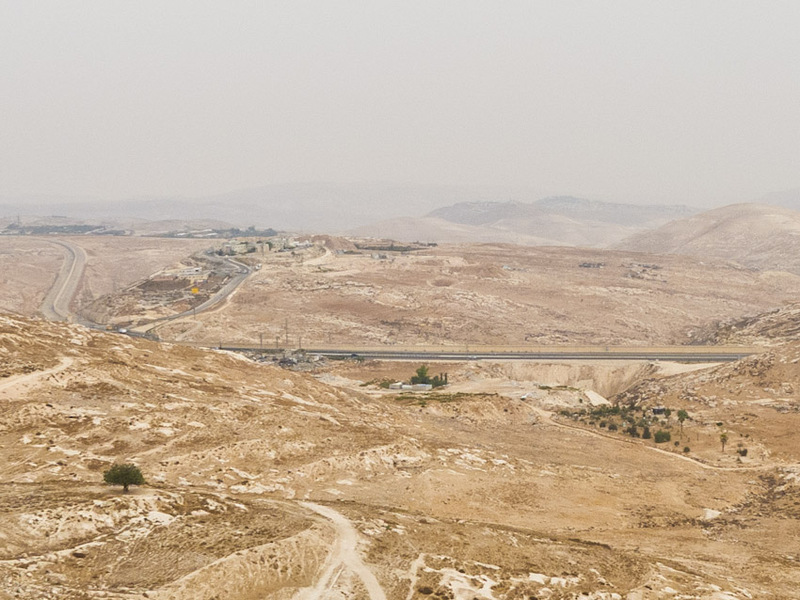 This seems completely absurd to me since the construction is not even finished yet and those who wish to get to the Israeli side can easily find parts where there is no wall and where there are no checkpoints. 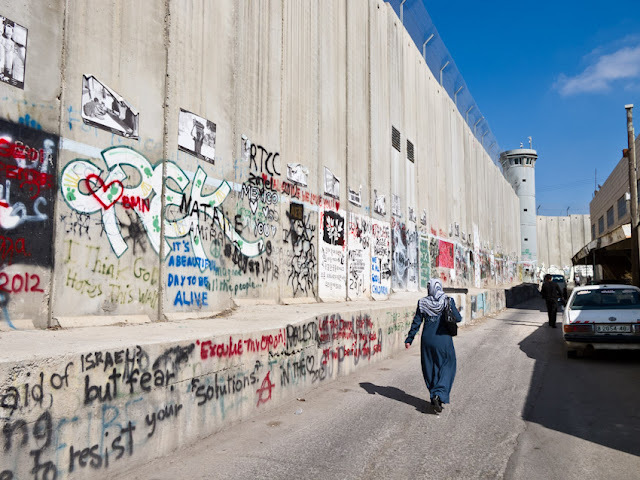 Psychologically the Wall may constitute a protective barrier against terrorism, but it actually seems to me to be a physical occupation line, set in concrete that Israel is using to slowly but surely expand its territory towards the East. 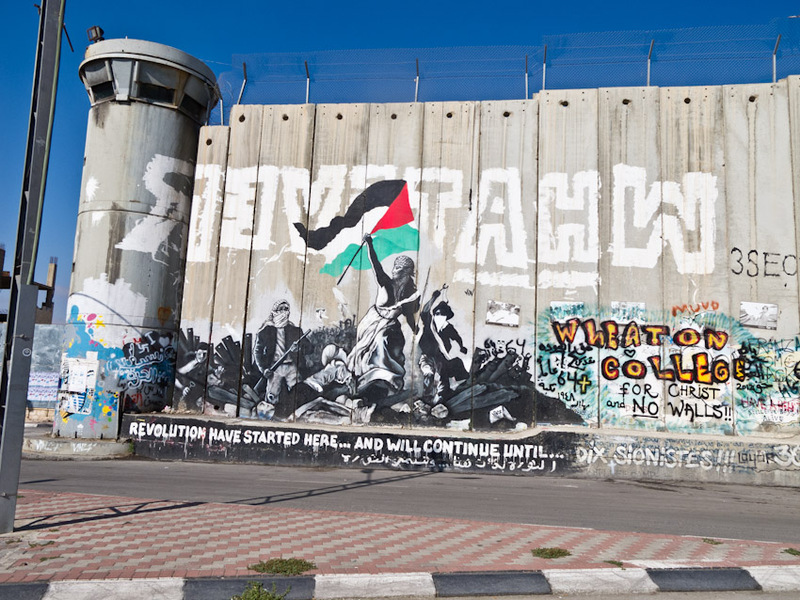 80% of the Wall runs through the West Bank and not along the border. 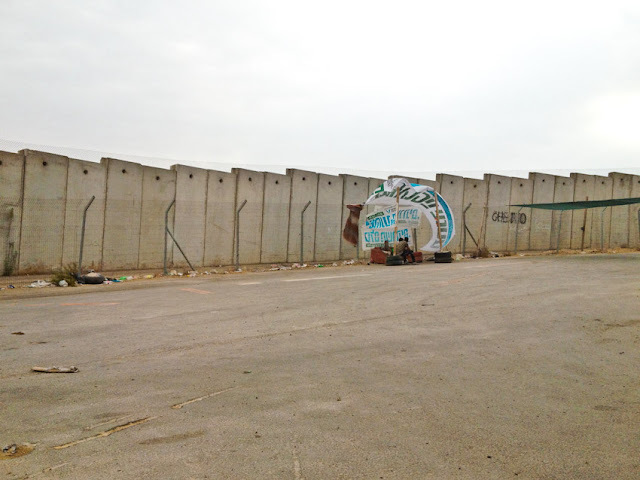 Directly at the Wall, between Jerusalem and Bethlehem is also a refugee camp (on the Palestinian side), which I wouldn't have recognised as such, because it's not a provisionally built tent camp - not any more. 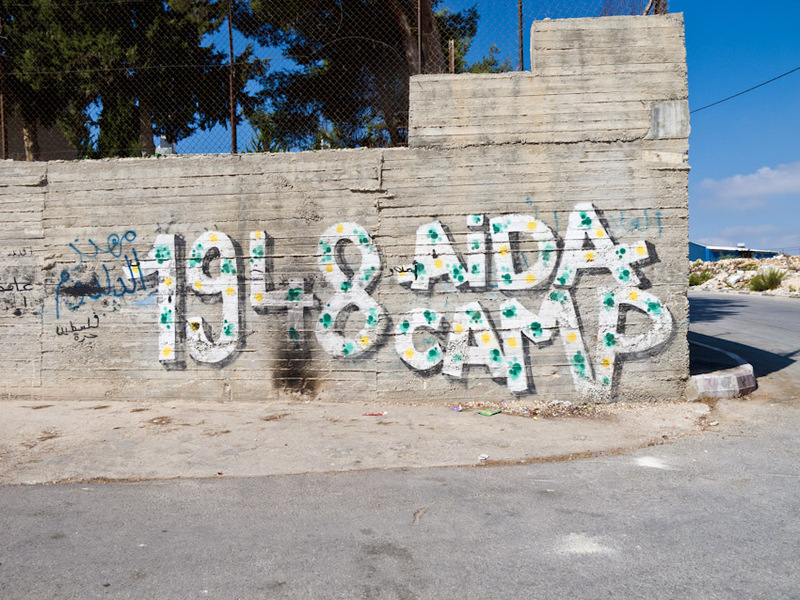 The Aida refugee camp already exists since 1950. And at some point the refugees started to build concrete dwellings. 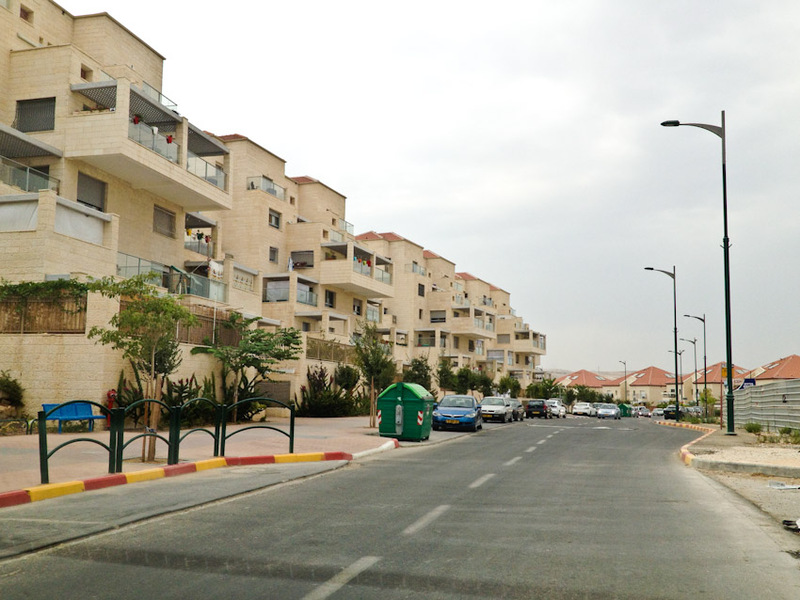 The controversial settlement policy of the Israeli government is abundantly obvious. 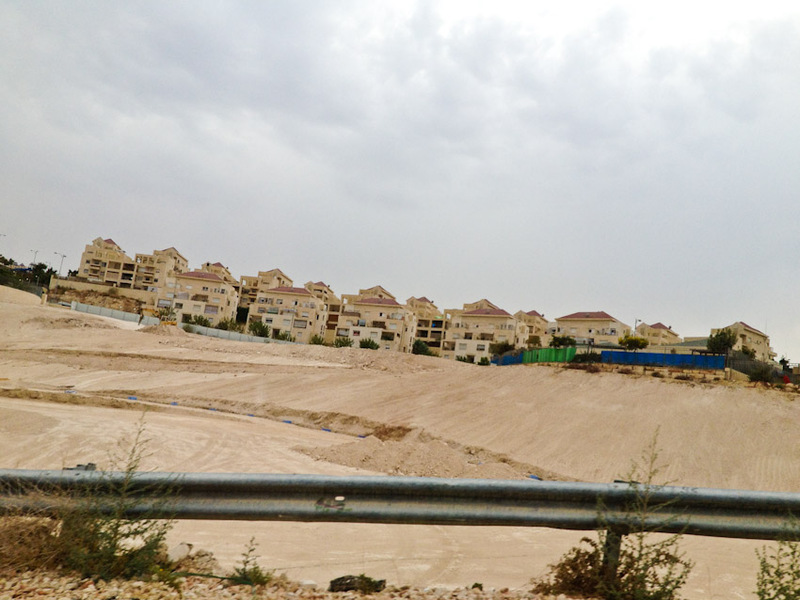 We are driving through finished, inhabited settlements in the midst of the West Bank; in the midst of the desert we find blooming vegetation and monotonous urban structures. 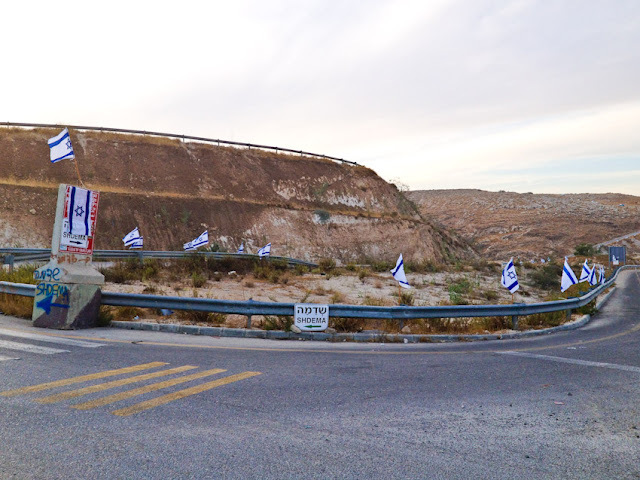 In some parts you can see new construction sites or newly marked territory, far away from the Israeli border.